2. The sturdy table frame is made from high-quality stainless steel, which makes it easy to clean and maintain. 3. Stainless steel table-top with glass on both sides. 4. 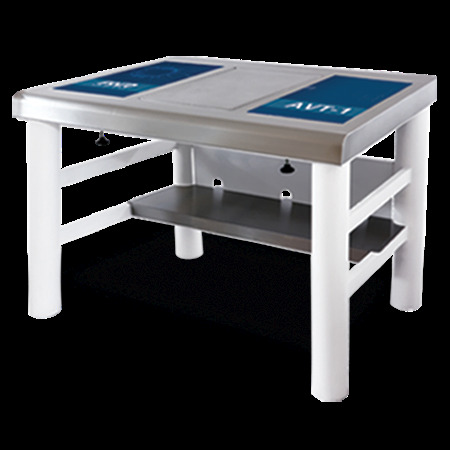 The anti-vibration platform is in the middle of the table-top.